God in the beauty of his redeeming love will “break our bones.” He’ll bring us through difficulty, want, suffering, sadness, loss, and grief in order to ensure that we are living in pursuit of the one thing that we desperately need–him. It’s time for us to embrace, teach, and encourage others with the theology of uncomfortable grace. As long as sin still lives inside of us, producing in each of us a propensity to forget and wander, God’s grace will come to us in uncomfortable forms. You may be wondering were the grace of God is in your life, when actually you’re getting it. But it’s not the grace of release or relief; no, you’re getting the uncomfortable grace of rescue, relationship, and refinement. 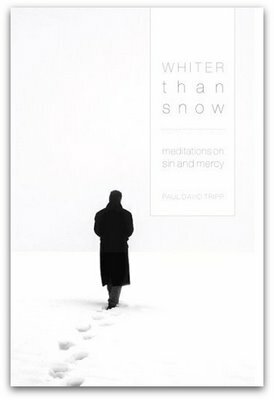 – Paul David Tripp, Whiter Than Snow, pp. 141-41.